I don't know what I would do if I couldn't run. It is my therapy and my solace. It is the only time that I can truly be alone and really feel connected to my body and the beauty that surrounds me. I admit though, that I will catch myself getting too much into my head and trying to work out problems or thinking of new designs for my art instead of simply taking in the movement of my body and the fresh air I am breathing. This meditation from Madonna Gauding's, The Meditation Bible, is a great reminder on how to be more in the moment when running, or doing any physical activity. For this meditation, the activity of running is used; however, you may replace "running" with any other activity you are doing, i.e. swimming, biking, gardening, walking, practicing yoga, etc. Researchers have found that running and meditation both have a positive effec on your mood. 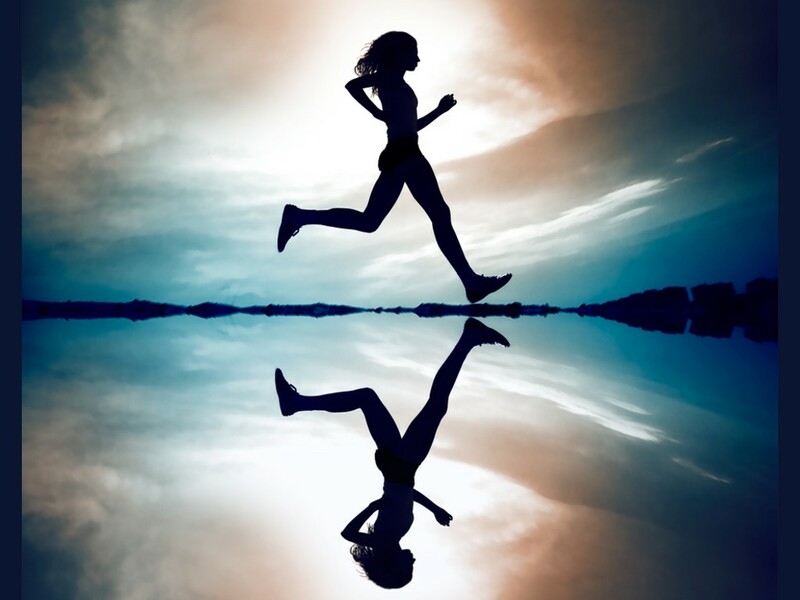 Runners and meditators experience the elevation of endorphins - the hormone that enhances well-being. 1. As you put on your running or workout clothes and shoes, focus on each task. 2. As you begin running, meditate as you would for the Watching Your Breath meditation (except instead of sitting down your will be moving!). 3. Now let go of your concentration on your breath and focus on the act of running. Try not to let thoughts enter your mind; when they do, simply return your focus to your running. Begin to feel your body, mind and soul functioning together as one. Continue to stay in the present moment, very much aware of everything around you. 4. When you finish your run, take off your shoes and socks and stand on the grass. Feel connected to the earth and grounded in your body. Strive to be mindful of the present moment throughout the day.